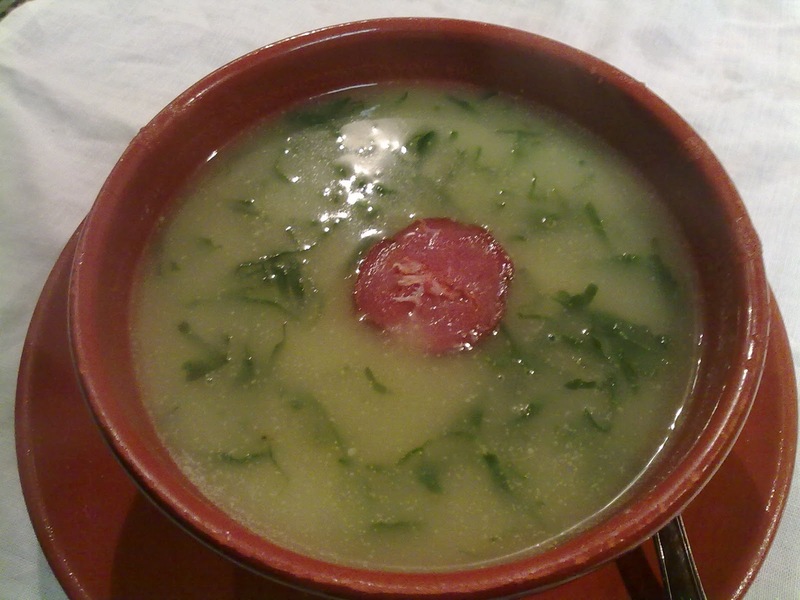 Caldo verde (Portuguese for "green broth") is a popular soup in Portuguese cuisine. The basic ingredients for caldo verde are potatoes, onions and kale (some recipes call for collard greens instead). Typically, this soup is served in clay bowls with a slice of chorizo and portuguese corn bread, as known as "broa". It is so light that it is usually eaten before the main dish or in a late supper. This soup was considered one of The 7 Wonders of the Portuguese Gastronomy in 2011.